Have you been one of the proud few people who have waited in line for a tech product product on launch day? Well you better start getting ready to camp out, as the early front runner has already laid out his plan to camp out for the next version of the iPhone. 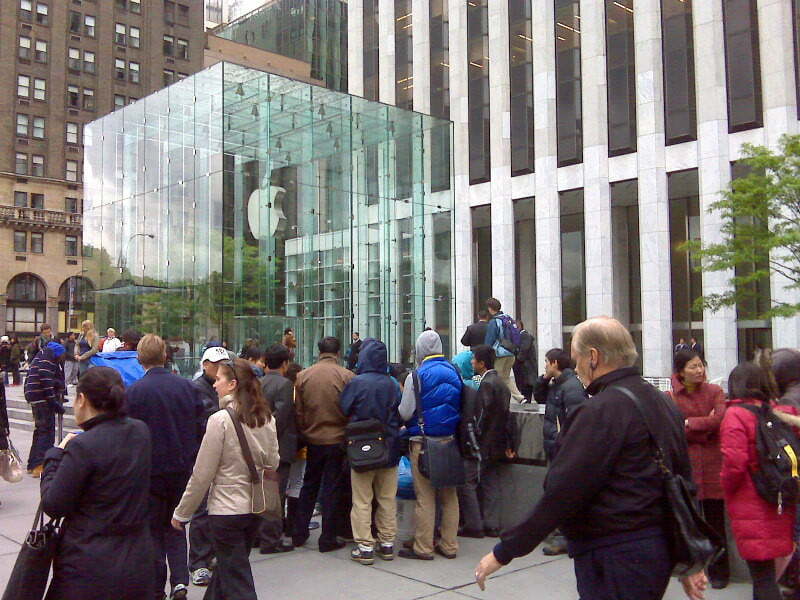 British man Rob Shoesmith has stated that he will start camping out next week for his iPhone 5, but doesn’t quite know how long he will have to camp out. Shoesmith isn’t camping out for the phone, but as a marketing scheme, and claims it will be a social experiment. The lucky Apple store will be the one located in London’s Covent Garden district, so Shoesmith will have to camp out on the sidewalk. As we have covered relentlessly,the next iPhone hasn’t been announced, but the rumor mill is in full swing. There isn’t even a date set for when the phone will be announced, let alone when it will be released to the public. Shoesmith doesn’t see the need to wait and see what sort of features the next phone will have, or even what it will look like. Without knowing an exact release date, who knows how long he will actually be camping out. Shoesmith’s experiment is based around the fact that he has decided to not bring any money for his camping trip. The hope is that companies will be kind enough to sponsor him, as well as individual donations. Shoesmith’s blog dedicated to the experiment is full of promised donations already, and we must say that we are a little jealous. For a full run down of all the random items that Shoesmith has received make sure to check out his blog, or follow him on Twitter. While we can’t fault Rob for his creative marketing scheme, but as tech enthusiasts we can’t say we agree with the spirit of the experiment. You wait in line for the love of the product, and not for a payday or a lifetime supply of candy. We would also have a hard time giving a donation to someone standing in line to buy an expensive cell phone.